You need a contractor who’s been around and will continue to be. Graham Construction Company was formed in 1981 to meet the construction needs of our parent company, The Graham Group, Inc. One of the countries largest private medical office developer/owners, The Graham Group develops Medical Office Buildings that are intended to be long term investments. Consequently, Graham Construction developed project management processes that emphasize quality construction and efficient life cycle cost management. This attention to the needs of the building owner led to the development of the “Graham Mentality”, which is the philosophy of making all decisions based on what is in the best interest of our customers. As the two companies evolved, The Graham Group concentrated on developing Medical Office Buildings across the country, and Graham Construction concentrated on providing construction services to healthcare customers in the Midwest. Today, less than five percent of our yearly construction volume is generated by projects with the Graham Group. However, we still build every project as though we are constructing for ourselves. This experience has led to Graham Construction being considered the premier healthcare construction expert in Iowa. We have completed some of the most difficult additions and renovations in the most sensitive areas of hospitals, while maintaining 24/7 continued operations and complete patient safety. This requires the highest level of project management and strict adherence to best practices in infection control. Presently healthcare construction comprises approximately eighty percent of our annual revenues, but the lessons that we have learned in healthcare construction have allowed us to excel in our other market sectors: Long Term Care, Private Education, and Commercial Construction. 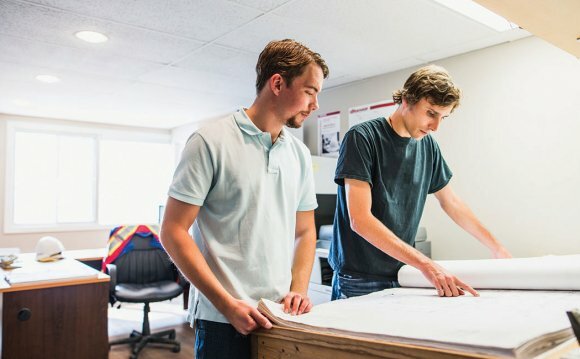 Graham Construction has built a reputation of excellence in the construction industry that is the result of first building long lasting relationships with our customers, then performing at a very high level. The philosophies behind these relationships are that we believe trust, open communication and honesty are critical foundations for a successful project which has resulted in seventy to eighty percent of our projects being completed every year for repeat customers.